This is a place for those who want to run away from the busy world …Come to Jabal Al Noor cafeteria to unwind and enjoy. We have a wide variety dishes to suit all kinds of taste’s. 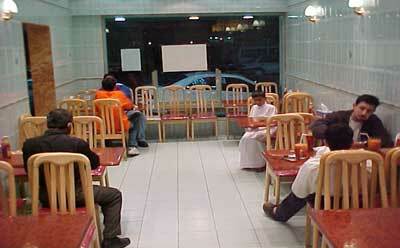 From traditional Lebanese to Indian tandoori delights and also American fast food. We have more than 100 different items on our menu…you will never get tired of visiting us. We also have a variety of selections for the health conscious people and the vegetarians. 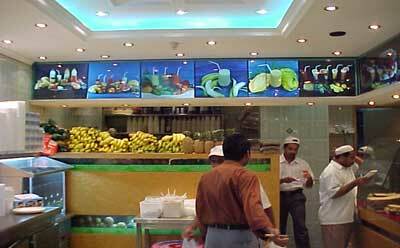 We have an unbelievable range of special juices , cocktails , milkshakes , Falooda and ice creams. Jabal Al Noor Grills are the speciality dishes prepared by our dedicated team. 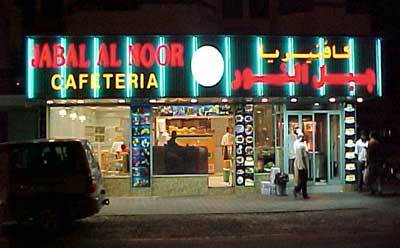 They are mainly jabal Al Noor Lamb Kebab, Kashkash Kebaba, Arice and much more. We offer free home delivery and great service with a smile.